Year three of the scheme will commence on 2 February with all existing participants automatically enrolled. 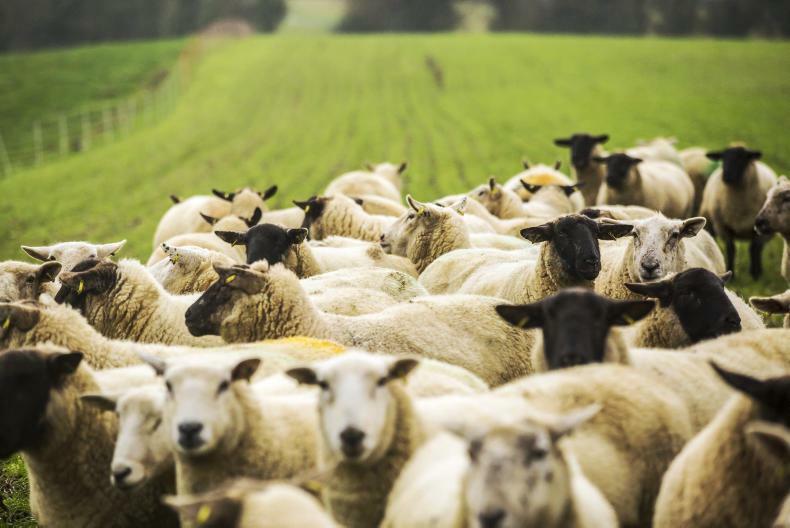 Year three of the Sheep Welfare Scheme (SWS) will commence on 2 February with applications from new entrants to sheep farming accepted until Friday, 1 February. Existing participants in the scheme will be automatically enrolled in year three and will not need to take any action should they wish to remain in the scheme. The scheme defines a new entrant to sheep farming as an applicant who has applied for a new flock number from 1 January 2018 and prior to 31 December 2018. An applicant with an existing flock number who has not held or traded sheep for a two-year period up to 31 October preceding the scheme year will also be considered a new entrant. He said that information packs containing the 2019 terms and conditions along with the action record book will be shortly issued to existing participants. Application forms can be obtained by contacting the SWS section of the Department by email at sheepscheme@agriculture.gov.ie or via the Direct Payments Helpdesk at 076 1064420. 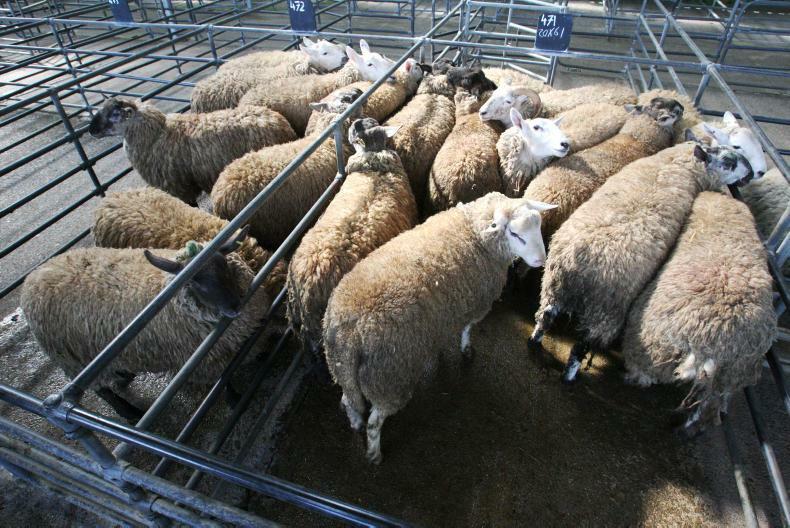 The recent increase in prices had the desired effect of attracting more sheep on to the market. Last week’s sheep kill increased 13,503 head to reach 56,811, with 43,733 hoggets, 6,560 spring lambs and 6,518 ewes and rams processed. 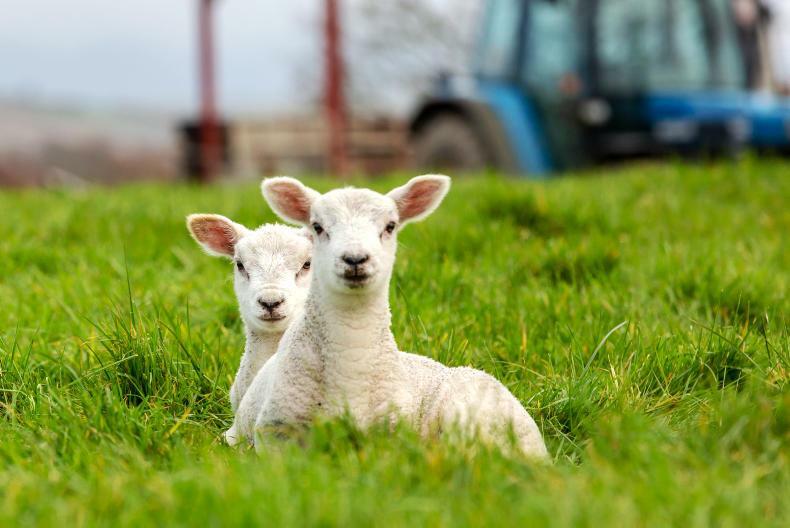 With demand for Easter winding down this week, factories are trying to ease prices, with €5.45/kg to €5.70/kg paid for hoggets and €6.50/kg to €6.70/kg paid for spring lambs earlier in the week. Attention will quickly turn, however, to servicing Ramadan festival which commences on 5 May. When Mike Pearson became principal of Gurteen College in Ballingarry, Roscrea, Tipperary, in 2000, the agricultural educational scene was going through a sticky period. The Irish economy was in the midst of a period of rapid growth during the Celtic Tiger era. There were about 70 agricultural students and a dozen equine students at the college. The agricultural educational landscape has changed drastically since then, with upwards of 500 agricultural students enrolled in Gurteen College in 2019. There are numerous factors that contributed to this resurgence in interest in agriculture. The downturn in the economy and crash in the construction sector was the first obvious one but incentives to encourage participation in agricultural courses teamed with a much wider offering in course options along with the abolishing of milk quotas has certainly helped. Mike has seen similar swings in interest during his time working as a sheep specialist with the Meat and Livestock Commission from 1985 to 1990 and as a senior lecturer training shepherds in an agricultural college in Northumberland from 1990 to 1999. He says it is possible there will be more swings in the level of interest but stresses that it is vital that a good educational offering is maintained for those interested in all sectors. This is particularly important with growing competition and some unrest recently between sectors such as beef and dairy, for example. Mike highlights the sheep flock and a recent focus on making the college more sustainable in terms of energy use as two areas he is particularly proud of. Adopting the latest technologies and focusing on reducing labour are seen as two critical areas for demonstrating best practice in the sheep enterprise. Mike explains that he did not want to have a legacy on leaving the college of the sheep flock not being in the prime position to demonstrate best practice to students. “When I joined the college, I was lucky that our shepherd Ger Carey joined at the same time and had such an interest in sheep. The sheep flock is run extremely well with support from our farm manager Kenneth Flynn and I am delighted we have been able to make a substantial investment over the last 18 months in new sheep housing and handling facilities. The investment in housing and handling equipment cost in the region of €100,000 but the flock of 450 ewes run at 11.7 ewes/ha (300 mid-season lambing ewes, 80 early lambing ewes and 70 yearling lambing hoggets) has the potential to generate a similar sales figure annually. “Sheep farming is the one area where you can enter with a relatively low capital investment and a quicker return on investment. There is also a good opportunity for those interested in sheep farming but maybe not possessing the scale to offer a service to other farmers. While some sectors of agriculture may be going through a difficult period Mike says there will always be a requirement for food which is produced to high standards and as such it is the responsibility of the agricultural sector to ensure the best possible educational facilities are available across all sectors. The search for a new principal in the college will close to applications on 3 May but Mike explains that he will remain in position until the post is filled and then act as a support facility to allow the selected candidate to transition into the new role. 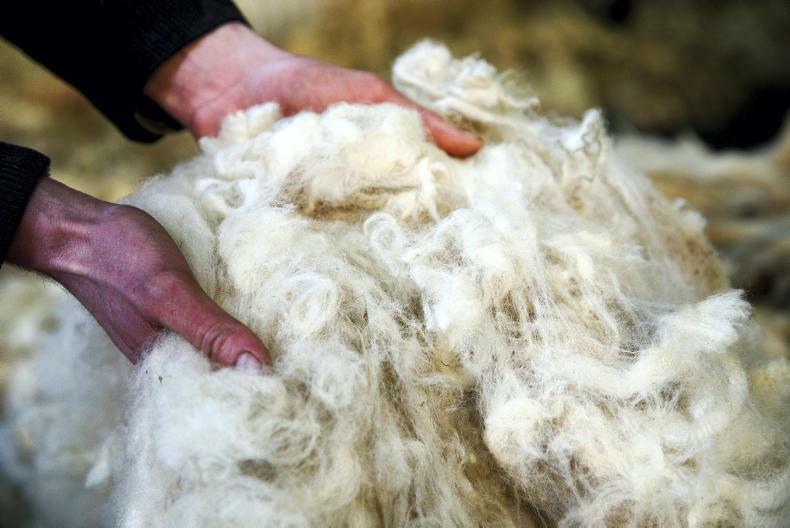 The Irish wool sector can be best classified as a trading sector. The majority of wool is purchased from farms through a network of agents and merchants, then graded and packed before being exported for further processing in other countries. The main destinations in recent years have been China and Malaysia, but significant volumes are also traded to the UK or via the British Wool Marketing Board. There is no value-added processing on a significant scale, with tiny volumes undergoing further processing. A study is currently being carried out by Patricia Casey as part of her enrolment in the MSc in AgInnovation programme at NUI Galway. Her study has a number of targets, including reviewing the current position of the wool sector in Ireland and identifying if there is potential and, if so, an appetite to enhance the sector. Patricia explains that a significant part of achieving this outcome is speaking with all parties with a vested interest in wool and collating their views. These have been broken down as follows into three groupings for simplicity of carrying out surveys and targeting particular questions to the right respondent. Wool producers / sheep farmers – this is collating the views of those who are producing wool and Patricia is asking farmers to devote a few minutes of their time to complete a short survey. The survey can be accessed through the web link https://www.surveymonkey.com/r/NCXWNHV or via the social media link https://www.surveymonkey.com/r/NQ3TS2S. Organisations with a vested interest – emails with a link to the survey have been sent to a number of organisations seeking their feedback. If anyone has not received the link and would like to contribute their views to the study, they can email p.casey11@nuigalway.ie. Wool / sheep champions – Patricia classifies wool or sheep champions as those who are actively engaged and have an interest in the sector. This includes shearers who are pro-active about the sector, businesses handling raw wool or processed wool to make any type of garments. Patricia says she has sent some emails to those she has been able to collate contacts for and, again, is encouraging anyone who has not received a link to the survey but who would like to help to contact her via email at p.casey11@nuigalway.ie.